​​The Greek Freak continues to deliver some of the most surreal highlights we've ever seen. On NBA All-Star Sunday, he's chosen to make the ASG his personal showcase. 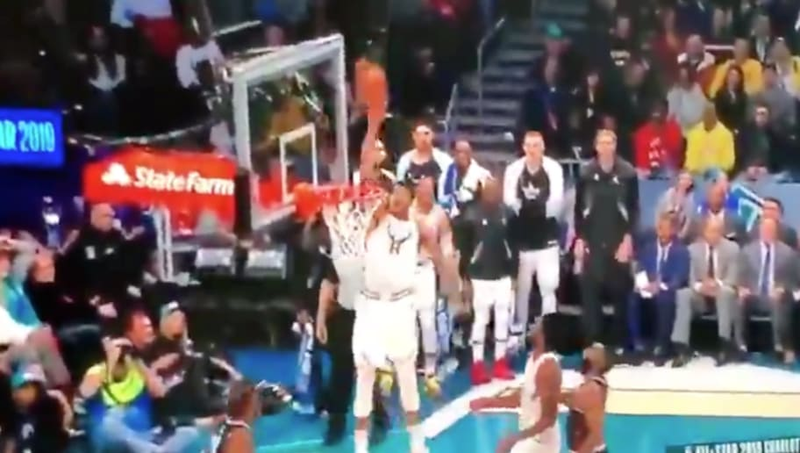 With most of us focused on LeBron James on-court tampering efforts, ​Giannis threw down one of the best dunks we've seen in a long time. How the hell is that even possible? Does anyone have a vertical on that? Simply put--that ought to be illegal. As of that bucket, Giannis was 9-9 from the field. Sheesh.